Writer-Director. Zoey in the Snow. 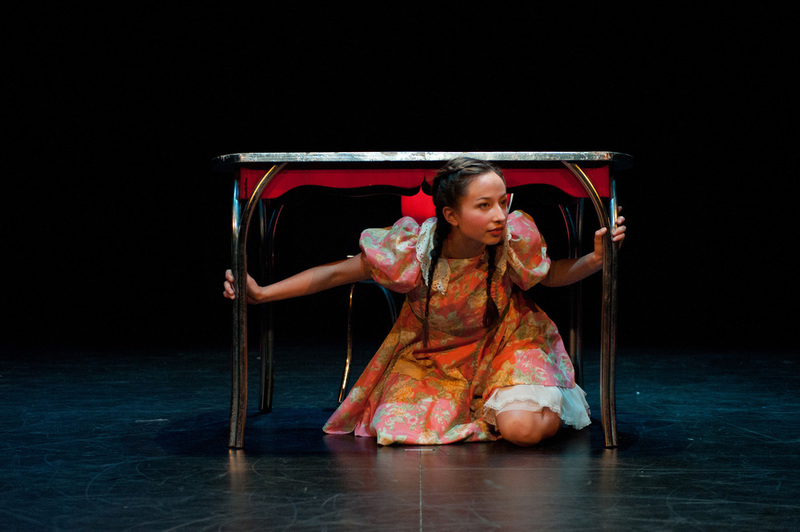 Zoey in the Snow is the first in a planned cycle of short plays that explore the Labyrinth of Greek myth. It was developed and first performed in 2010 as part of Lab Run, an annual showcase of new work by graduate students in the Department of Theater, Dance & Performance Studies at U.C. Berkeley. In Zoey in the Snow , the title character - an eight-year-old girl with a unique view of the world - makes a game of her parents' unraveling relationship. They both love her deeply, but their love for her might not be enough to keep them together, given everything that has gone unsaid between them in the years since she was born. Will Zoey find her way out of the web of silences and recriminations her parents have woven? The play itself consists of an introduction, six short vignettes, and a coda. The vignettes are randomly recombinative, according to the roll of a die, so the piece as a whole can take any number of forms. 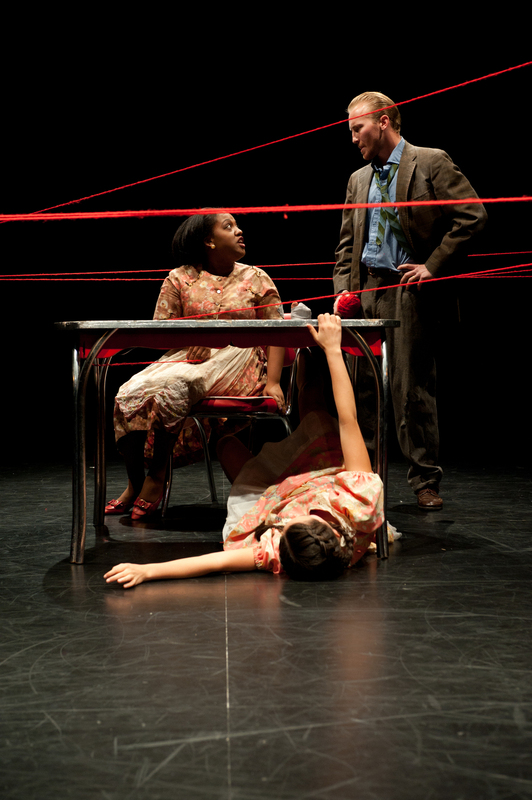 The two actors playing Gary and Angelica, Zoey's parents, trail red yarn behind them as they move. The resulting web is unique to every performance - a record of the conversation that unfolded and the dangers it brought to life. This performance featured Marica Petrey as Zoey, Lashika Lott as Angelica and Alex Boozer as Gary and was stage managed by Elijah Guo. All photographs courtesy of Joshua Hesslein at TDPS.